WASHINGTON, Sept 7 (APP): The United States is encouraged by some of the recent counter-terrorism operations by Pakistan along the border with Afghanistan, and would continue to work with it to apply more pressure on terrorist groups, a US State Department spokesman said on Tuesday. 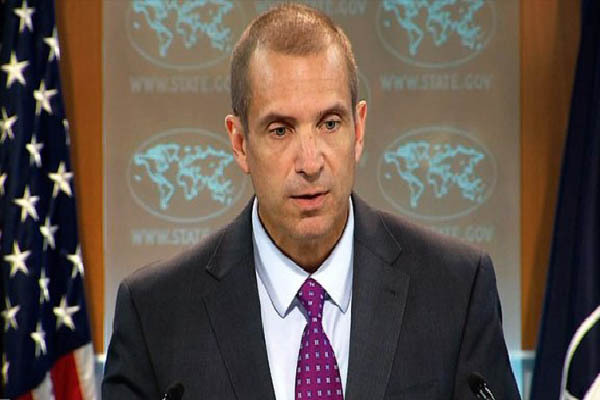 Responding to a question at a briefing at the State Department, Spokesman Mark Toner said that Pakistani authorities have assured of their intentions to go after terrorists. Saying that the US has been encouraged by some of the steps, and recent counterterrorism operations, the spokesman said the Obama administration was going to continue to work with them to increase those efforts and apply more pressure on these groups. To a question, the spokesman while referring to statement US Secretary of State John Kerry made during his visit to Bangladesh and India, said there had been very frank conversation with Pakistani authorities about the need to focus more efforts on terrorist groups that were “operating from within Pakistani soil”. “We continue to have that discussion with them. We have seen some efforts to make progress in that regard. We’re going to continue to have those conversations with them as we move forward,” he said, adding that it was in interest of both Pakistan and Afghanistan to go after these terrorist groups and destroy them. Asked about US efforts to bring the perpetrators of Mumbai attack to justice, the spokesman said the United States wanted to see accountability and justice in the case as American citizens also lost their lives in those terrible attacks. “We’ve long encourage and pushed for greater counterterrorism cooperation, and that includes the sharing of intelligence between India and Pakistan in that regard. That continues; those efforts continue,” the spokesman said.